2. 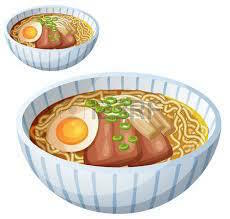 Take a small sip of the broth directly from the edge of the bowl by lifting the bowl with both hands to your lips. This is by far the preferable option but you can use the spoon if you like. You want to do this to taste the broth before it’s mixed with other ingredients. 3. Dig in the noodle and finish all the noodle before it gets soggy. Slurping Is mandatory because it cools off your mouthful of noodles just enough to let you enjoy them while the rest of the bowl stays piping hot. Also It aerates the noodles and the broth, allowing the flavors to mellow out and fully develop before you chew and swallow. 4. Now you can relax and enjoy the rest of the soup at your own pace. 5. Enjoy that glorious afterglow of having had a good bowl of ramen.